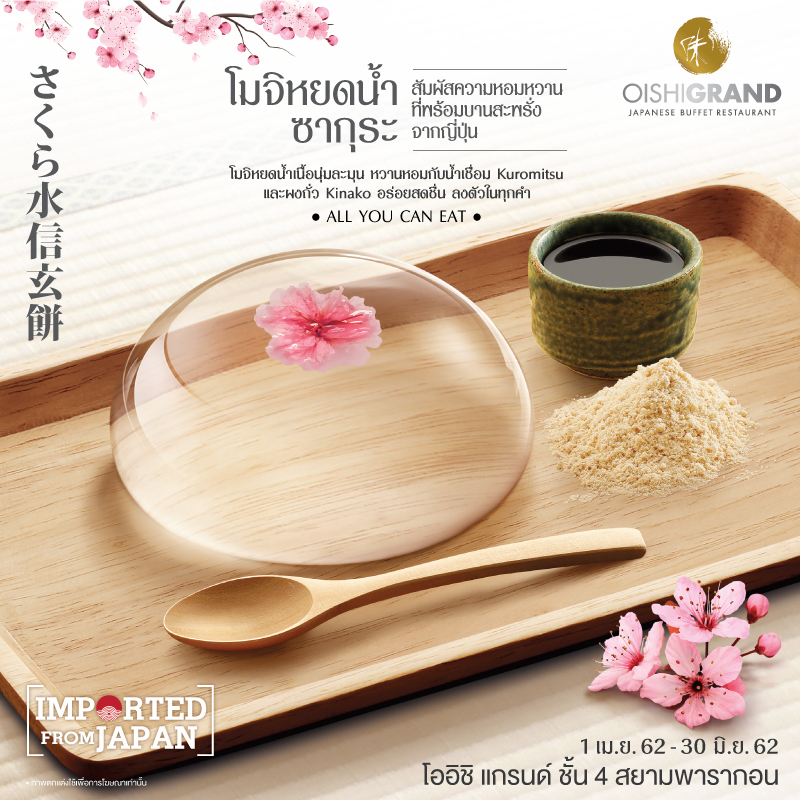 Oishi Grand, premium Japanese food buffet. With luxurious ambience and a wide selection of dishes and rare items, we open all day long and let you enjoy for as long as 2 hours and 30 minutes. 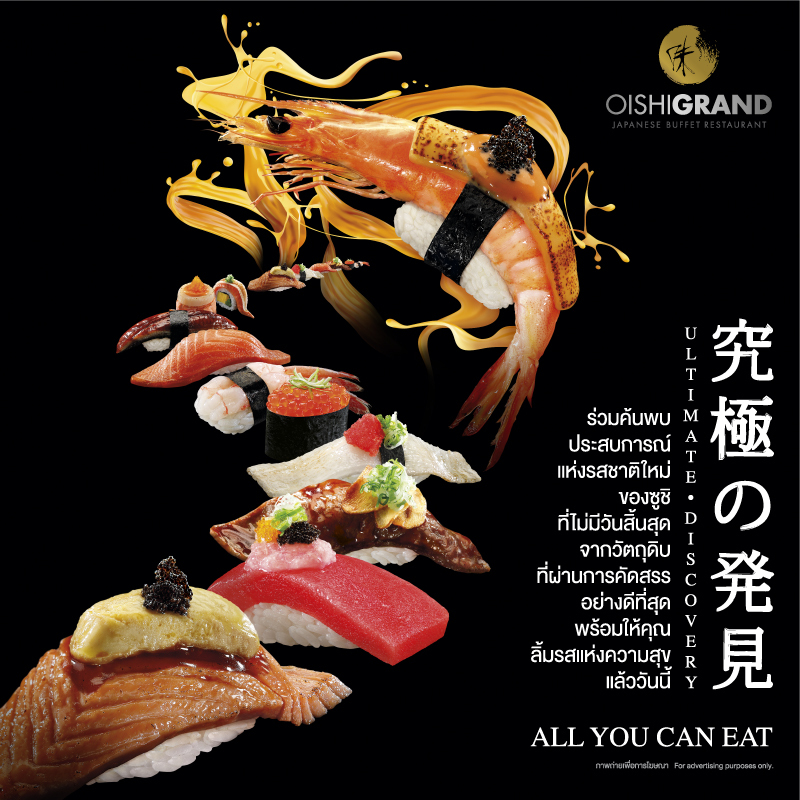 Sushi and Sashimi Zone: You can fully taste the deliciousness and select from a wide variety ranging from the familiar dish of Salmon Sushi, Tobiko Sushi (flying fish roe), Unagi Sushi (eel grilled with soy sauce), California Maki, Salmon Kuroi Saikyo Sushi (salmon grilled with miso sauce) etc. Also, a premium menu is provided. For example, Hotate Sushi (scallop), Engawa Sushi (fluke fin), Amaebi Sushi (sweet shrimp), and Hokkigai Sushi (stimpson surf clam). Moreover, fresh sashimi is ready to be served, such as Hamachi (Japanese amberjack), Salmon from Norway and a lot more for your own selection. 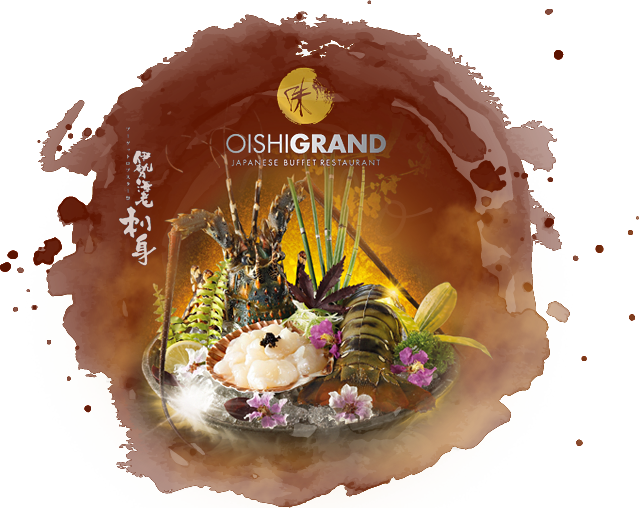 Hot Dish Zone: A variety is always served here, including Thai, Chinese, Japanese and international food which are rotated regularly for you to choose as you like. The top dishes are Salmon Kabutoni (salmon head with soy source), Fish with Sweet, Sour and Hot Sauce, Hamaguri Sakamushi (clam with sake), Croquette (salmon and potato), Cheese Sausage and Mashed Potato with Gravy Sauce, Spinach and Bacon, Fried Spicy Seafood, Soft-Shell Crab Salad, Steamed Egg Custard, Matsutake Dobin Mushi (Japanese seafood broth), Gyoza, Tempura, Dim Sum etc. Teppanyaki Zone: Filled with an array of fresh and premium food, such as Beef Barbeque, Port Barbeque, Beef from New Zealand, Chicken, Dolly Trout, Saba Mackerel, Black Cod, Shishamo (capelin), Salmon, Shrimp, Octopus, Mussel from New Zealand. All you can find for a variety of cooking including steak, fried, deep-fried, and steamed dishes. Dessert Zone: An assortment of desserts for your own selection ranging from Chocolate Mousse, Raspberry Panna Cotta, Blueberry Cheesecake, Pancake, Fruits, Juices, Soft Drinks, Tea, Coffee, and super premium Häagen-Dazs Ice Cream. ⌚ You can enjoy for 2 hours and 30 minutes.